At Everest Medical Group, we offer effective, holistic treatment options for a wide variety of ailments. Our noninvasive approach works with your body to provide relief from various conditions affected by an imbalance in the musculoskeletal and central nervous system. Here are a few surprising conditions that can be helped through chiropractic care. More than 90% of women experience uncomfortable symptoms related to their period, such as headache, abdominal pain, moodiness and bloating. For some women, these symptoms are little more than a mild annoyance. For others, the symptoms are severe enough to cause them to miss work or limit daily activities. Chiropractic techniques can significantly relieve PMS symptoms. Research shows that women receiving one of the most common treatments -- high-velocity, low-amplitude spinal manipulation -- report a significant decrease in the severity and frequency of PMS symptoms. So if you suffer from PMS, chiropractic treatment can help. Adults who suffer from migraines can attest that they’re not your typical headache. Characterized by pulsing, throbbing pain that can last anywhere from minutes to days, these headaches can strike with such intensity that it has a major impact on your quality of life. Conventional doctors often treat migraines with nonsteroidal anti-inflammatory medications and drugs that reduce pain signals in nerves. But not everyone responds to traditional medication and they can have unpleasant side effects. 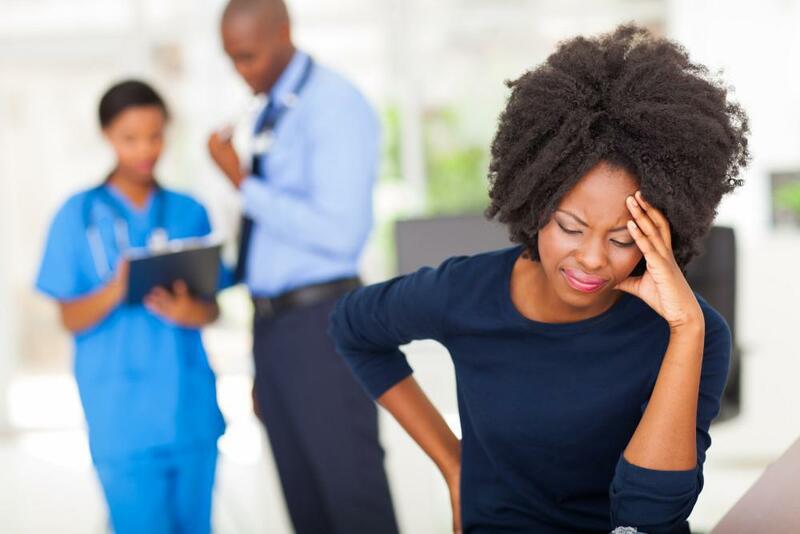 Here at Everest Medical Group, migraine sufferers can take advantage of chiropractic techniques to obtain migraine relief. Dr. Ruddell routinely performs spinal manipulation to correct misalignments that cause pressure and stress on vertebrae and the surrounding nerves and muscles. These adjustments are aimed at reducing the frequency, duration, and intensity of migraines, so that you can get back to your life. The pressure and pain caused by inflamed sinuses can make your life miserable. Not only can it cause your face to feel swollen and tender, it can make your head throb and your jaw ache -- not to mention the nasal congestion that makes you feel as if you’re living underwater. Chiropractic treatment for sinus problems is drug-free and involves gentle manipulation, such as adjusting the facial bones to relieve sinus pressure, so that your sinuses drain naturally. The reduced pressure allows you to breathe easier and lowers the chances that fluid will build up and trigger painful inflammation. Dr. Ruddell may use other techniques to help your sinuses get back to normal. If you’re regularly preoccupied with fear and worry, you’re not alone. Roughly 40 million adults in the United States experience anxiety. When it’s significant, it may force you to cancel social outings, and you may experience uncomfortable physical symptoms like rapid heartbeat and dizziness. While anxiety is linked to various causes, such as stress, brain chemistry, and genetics, the result is overstimulation of the nervous system. This is where chiropractic adjustments can help. Spinal manipulation helps improve nerve function to calm overactive signals. Adjustments that correct misalignment of your vertebrae allow your nerves to function naturally. Dr. Ruddell’s compassionate chiropractic care also incorporates other aspects of wellness, such as exercise and diet. He may recommend a combination of lifestyle changes, along with spinal adjustments to ease anxiety symptoms. In the past, the prevailing assumption was that arthritis comes with the territory as you age and that you just have to suffer through it. Today, you can choose treatments that provide relief from the joint pain, swelling, and reduce mobility associated with arthritis. Chiropractic treatments for arthritis are aimed at maximizing joint function, relieving pressure on your joints and surrounding tissues, and stimulating the body’s own self-healing properties. Your care may include adjunctive therapy, such as infrared sauna and electrotherapy. Our number one priority is improving your quality of life so you don’t have to miss out on the things that are important to you. Chiropractic treatment is beneficial for more than neck and back pain. If you’re suffering from any of the above conditions, contact us at Everest Medical Group to find out how Dr. Ruddell and our experienced staff can help you get better and reclaim wellness.